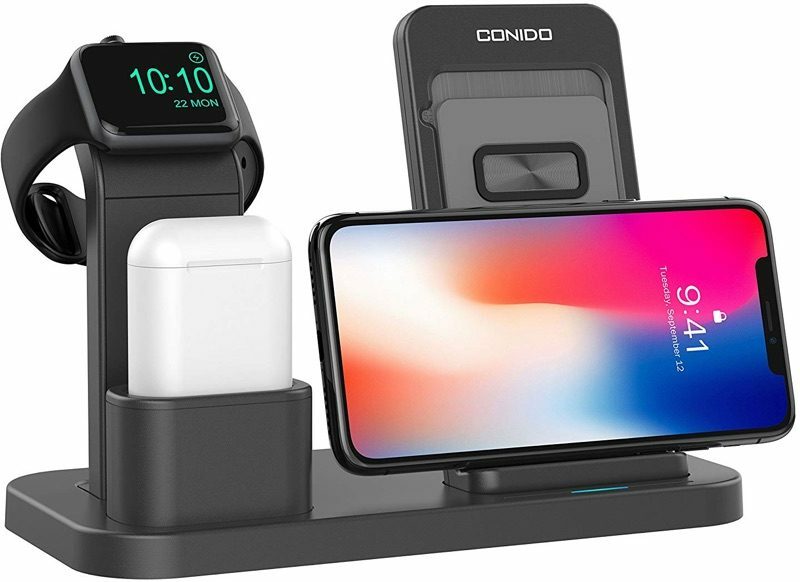 Conido Wireless Charging Station ($42) - This charging station has an upright charger for the iPhone, an Apple Watch charging puck with stand, and a slot for charging the AirPods, but with Lightning instead of wirelessly. 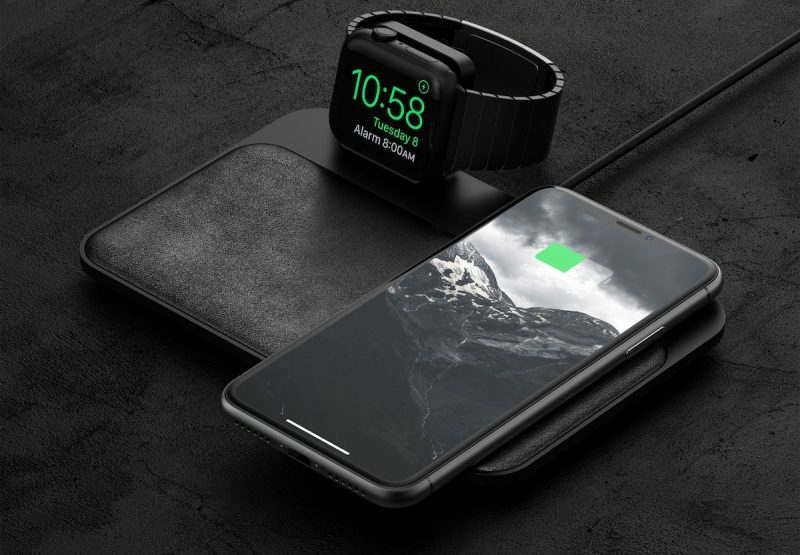 OLEBR Charging Stand ($39) - The OLEBR is similar to the Conido, but it uses Lightning for the iPhone and the AirPods while offering a charging puck for the Apple Watch. 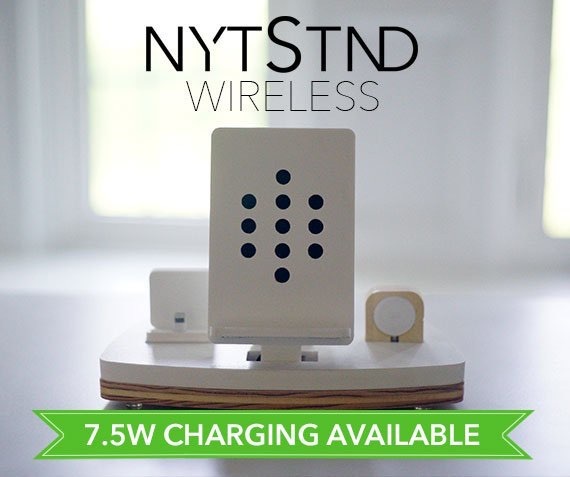 So this one isn't wireless at all, but still charges multiple devices at once. 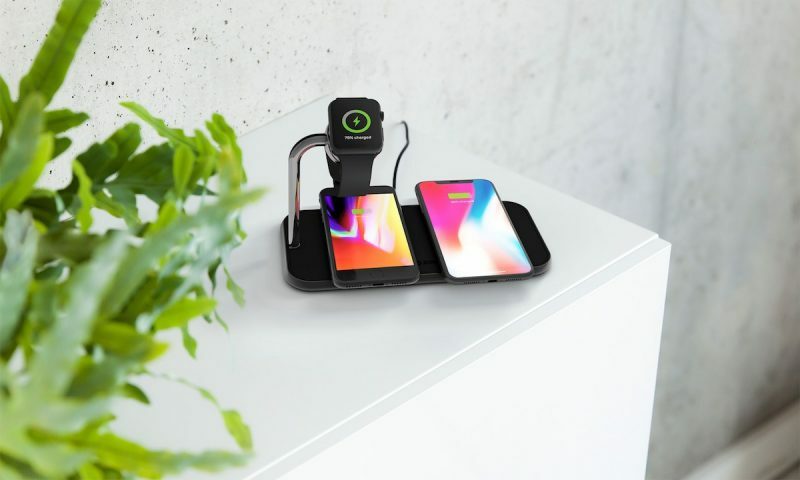 MQOUNY Wireless Charger 3-in-1 ($39) - This stand is rather compact, offering an upright wireless charger for the iPhone, an Apple Watch charging puck, and above that, a holder for the AirPods that charges them over Lightning. 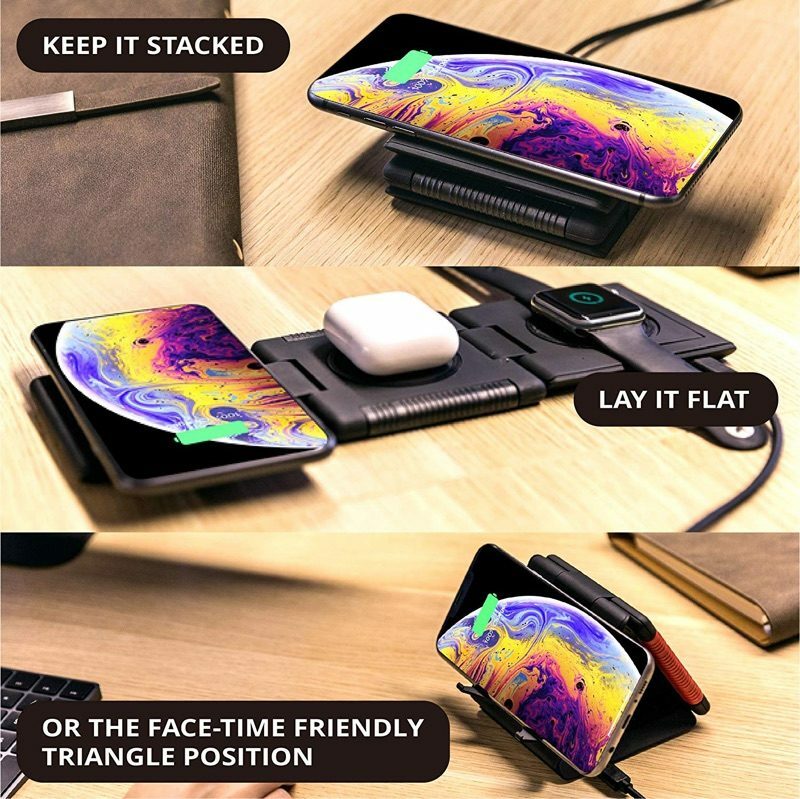 Bestand 3-in-1 Wireless Charging Stand ($48) - This wireless charging stand has an upright wireless charger for the iPhone, a charging arm for the Apple Watch, and a Lightning connector for charging the AirPods. 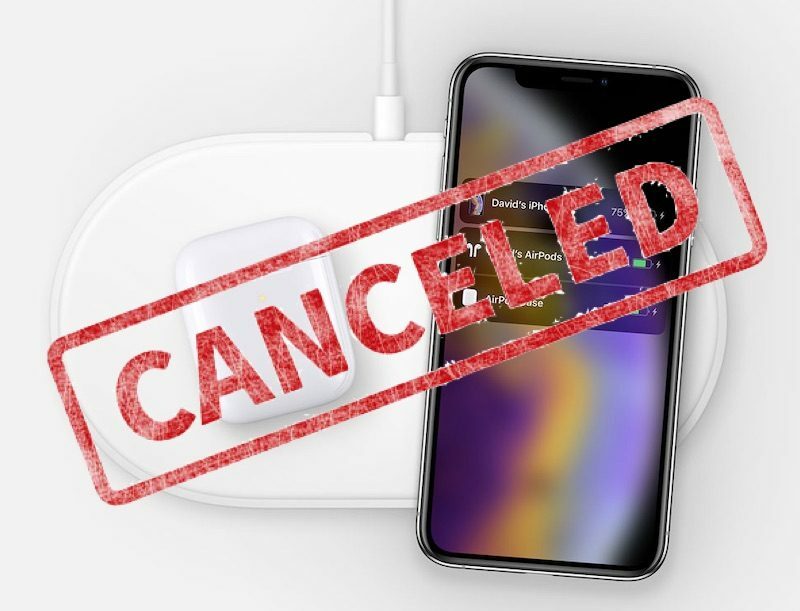 IBIS 9W Dual Wireless Fast Charging Station 3 ($40) - There's no space for the Apple Watch on this one, but it will charge your iPhones and your AirPods with Wireless Charging Case.